Burnetts has hired two newly qualified solicitors into its Carlisle-based commercial property team. Sarah Loan (pictured above right) qualified as a solicitor on her very first day, having completed her training at commercial property solicitors Bowcock Cuerden LLP in Cheshire. Originally from Northern Ireland, Sarah came to England to study Law at Hull University. She is the former Chair of the Junior Lawyers Division in Cheshire and North Wales and moved to Carlisle to take up her role at Burnetts. Meanwhile Abigail Lynch (pictured left) has joined the team permanently having just completed her two year training contract with Burnetts. Abigail first came to Burnetts as a work experience student whilst in the Sixth Form at Cockermouth School. Whitehaven born, she studied Law at Newcastle University and lives in West Cumbria. During her studies, Abigail also completed placements with Bond Dickinson and Eversheds in Newcastle and worked as Assistant to Legal Counsel for Carrs plc. 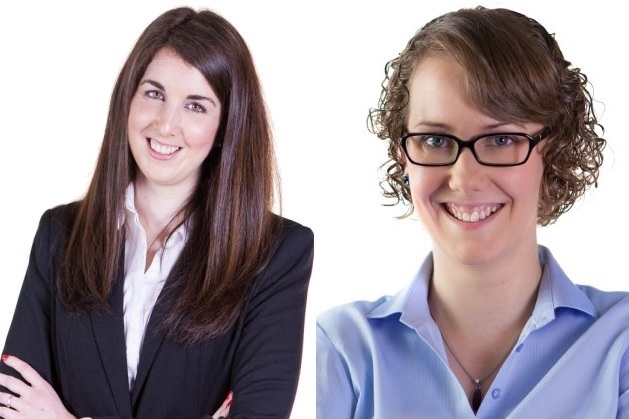 In their new roles, Sarah and Abigail will be advising clients on the sale and purchase of commercial land and property, as well as negotiating and drafting leases and providing guidance on land issues such as mines and minerals rights. Both have worked in land and property law during their training periods. Abigail is a dedicated swimmer who has swum competitively at county, regional and national level. She is a member of Cockermouth Swimming Club, Cockermouth Masters and trains with Tri- Lakeland, a local triathlon club. Sarah is a keen rower: she was recently part of a team which completed an 88 km sponsored row along the Caledonian Canal in aid of the Great North Air Ambulance and Talkin Tarn Amateur Rowing Club. For further information about Burnetts' capability in commercial property, visit the commercial property team's pages.